Click on the map to view the full-sized image. As this map illustrates, the Conejo Creek Properties project would be located within 1500 feet of the Pt Mugu runway 21 final approach course. 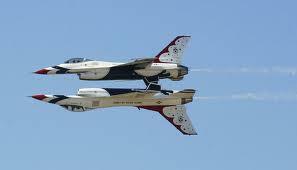 In addition, it is under the Camarillo Airport inbound flight path. This was referred to as a “mixing bowl” area by the Base Commander, Capt. James McHugh. at the Land Use Forum held at CSUCI in April, 2010. ~ 300 acres of the 740 acres would be within the Military Influence Area…the first significant development on agricultural land towards the Base. ~ The entire proposed development is within the critical inbound flight path, at the point-in-time where aircraft must increase power to extend their flaps and landing gear. Noise and safety concerns are the two factors most affecting Military Air Installation operations nationally, limiting their mission and training operations (see VC Star article below). As develop-ment encroaches, a Base becomes increasingly concerned with, and limited by, the noise and safety impacts of its flight operations. Fortunately for Ventura County and the NBVC, agricultural land is the most compatible land use to surround an air installation. Our Oxnard Plain farmland best protects against possible closure or downsizing. NBVC (which includes Point Mugu Naval Air Station, Port Hueneme Naval Base and San Nicolas Island) is Ventura County’s #1 employer, providing over 19,000 military and civilian positions and pumping nearly $2 billion into our local economy. California’s unemployment rate is 10.7% which is the third highest in the country. The following is from Senator Tony Strickland’s July 2012 Newsletter, “Ventura County faces even further economic woes if the Base realignment and closure process (BRAC) decides to close Naval Base Ventura County (NBVC). 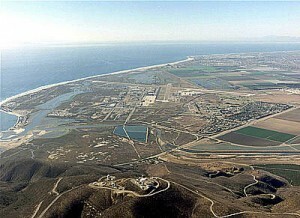 In 2013, the United States Department of Defense plans to ask Congress to approve two rounds of military base closures and just as it was in 2005, Naval Base Ventura County will be seriously looked at for closure. Fortunately NBVC and the jobs it provides survived the closures of 2005…Its closure [now] would be devastating to our county”. On the other hand, if the Department of Defense is convinced we as a community and a county are committed to encroachment prevention, NBVC could benefit from increased “investment” in our local military base. Ag land and the NBVC is a win-win economic situation for us all. Navy officials are campaigning for new land-use protections for Naval Base Ventura County, saying they want to prevent development that would undermine the mission and economic value of the county’s largest employer. 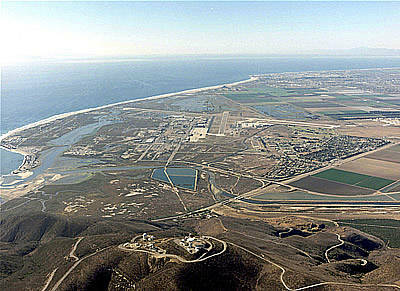 The base encompasses the Point Mugu Naval Air Station, the Naval Construction Battalion Center in Port Hueneme and San Nicolas Island, employing 17,000 to 18,000 military and civilian workers. Its annual economic value to the area is estimated at $1.7 billion.Speaking before the Ventura County Board of Supervisors this month, Navy officials portrayed incompatible urban development as a problem for both the military mission and jobs.”Ultimately, we’re concerned the mission could get reduced,” said Salim Rahemtulla, a community planner the Navy hired to work on the issue.Oxnard Councilwoman Carmen Ramirez said the Navy may be pushing the idea now to keep the base viable amid the prospect of federal cutbacks, including potential base closures. Rahemtulla, however, said the move is part of a Navy-wide initiative begun a few years ago to protect the capability of bases. He knows of no plans to close bases, a prospect Point Mugu was threatened with in the mid-1990s.Capt. Jim Mchugh, commanding officer of the base, asked supervisors to establish zones called military influence areas in the county’s general plan. 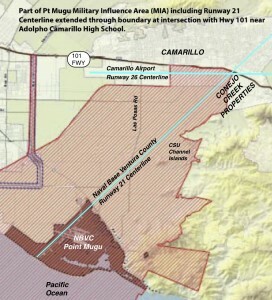 The document details permissible land uses in the unincorporated county territory that would make up most of the military influence area.Mchugh also is asking city councils in Oxnard, Port Hueneme and Camarillo to adopt the same measure in their general plans. The military influence areas cover territory where the base’s mission would be taken into account when development is proposed, Rahemtulla said. Among the goals: limiting traffic, keeping developments far enough away to avoid noise and safety issues, and ensuring that buildings don’t interfere with air routes or provide views compromising base security. Navy officials are primarily concerned with urban development, including housing tracts and office complexes that would bring in large numbers of people. They also want noise standards, are working with a state conservation agency to purchase land near Point Mugu, and plan to conduct a study to evaluate development issues. The military influence area would cover more than 31,000 acres of western Ventura County, stretching from Highway 101 in Camarillo south past the coastline, officials said. The Navy’s plan also calls for mobilization routes for wartime convoys along Victoria Avenue, Hueneme Road and Rice Avenue. They would stretch 1,000 feet in width. Rahemtulla said the mobilizations would be rare, and he did not know how they would affect motorists. 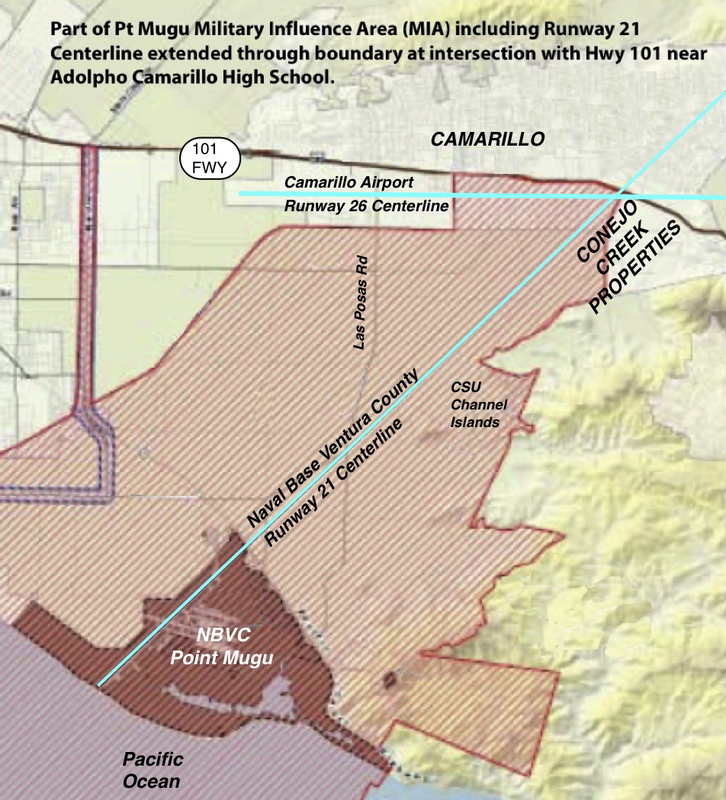 A 500-foot security buffer also needs to be established around the Port Hueneme base, he said. That land is largely developed, but the Navy could work with police to guard the buffer, Rahemtulla said. Much of the land under discussion is now protected under an open-space initiative requiring voter approval for development, an airport influence zone and the county general plan. Under state law, airport authorities already have the right to comment on development proposals that would affect operations, a county official said. “As it gets closer to the airport, you can place more stringent conditions on it,” said Todd McNamee, director of Ventura County Airports. Rahemtulla said the military influence area would boost that protection because the Save Open-space and Agricultural Resources initiative is due to expire in 2020. Rahemtulla said the Navy is not attempting to block development on private land but wants to have a say to make sure it’s compatible. The problem has occurred elsewhere in the nation and limited training, he said. He said the most notable example is Naval Air Station Oceana in Virginia Beach, Va., where training flights have been limited and moved. 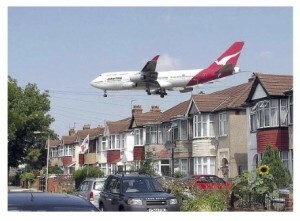 “We’ve got residential development practically to the back gate, so aviation officials get complaints,” he said. Rahemtulla noted some developments might be out of the question, while others could simply require alterations. Naval officials, for example, are concerned about the views residents would have of the Port Hueneme installation if a 60-foot-high apartment project is built at Channel Islands Harbor. The orientation of the buildings could be switched to alleviate those concerns, Rahemtulla said. Environmental agencies say the Navy’s effort is compatible with their desires to preserve open space. 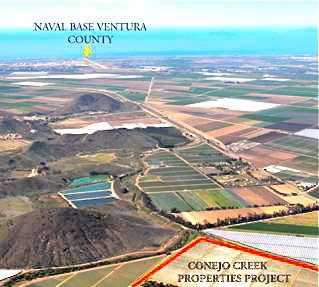 The state Coastal Conservancy, for example, has been talking for five or six years with the Navy about joint purchases of land in the Ormond Beach area near Point Mugu. Conservancy Senior Project Manager Peter Brand said the deal would save environmental resources and provide the buffer the air station needs. Navy officials made their presentation to supervisors several weeks ago and plan more appearances over the next few months. They are scheduled to appear tonight before the Camarillo City Council, with appearances in March before city councils in Oxnard and Port Hueneme. A forum for elected officials is planned April 20 at CSU Channel Islands in Camarillo, with a tour afterward of the air station at Naval Base Ventura County, Point Mugu.